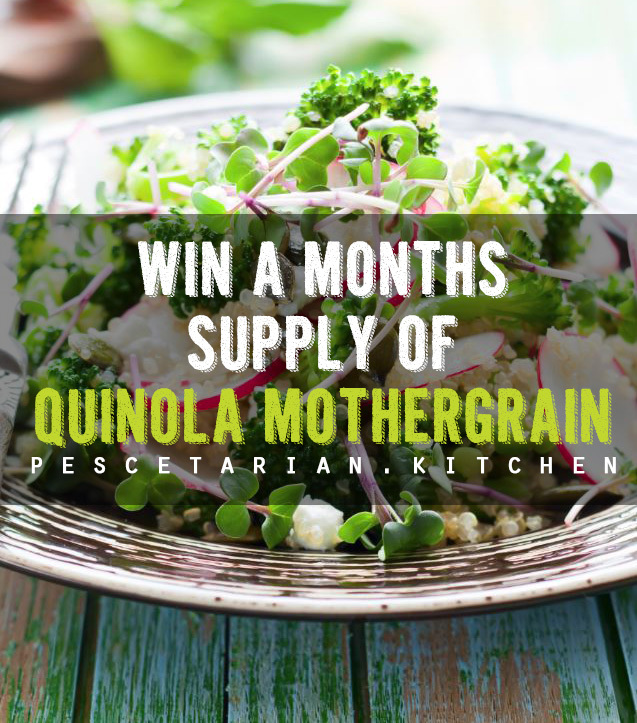 Delicious, nutritious and packed full of goodness; win a month’s supply of Quinola Mothergrain’s Original and Express quinoa range. If you’ve not heard of quinoa before (where have you been?! ), it’s the perfect staple to any pescetarian diet! A lovely change from rice or pasta, quinoa is a complete vegetable protein, full of vitamins as well as gluten and cholesterol free. The facts suggest it is as close to a perfect ingredient as you can get! 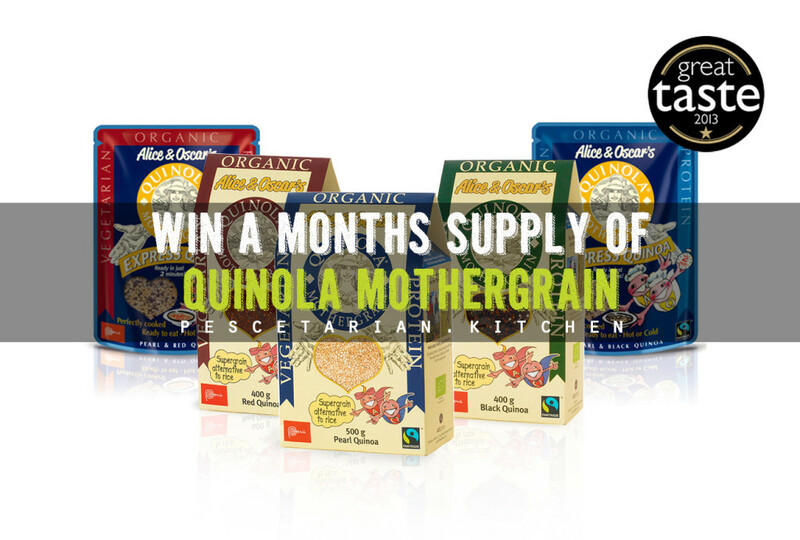 If you win, you’ll receive a hearty supply of Quinola Mothergrain Original and new Express range, which promises hot and tasty quinoa in a matter of minutes. You can enjoy all of their Great Taste Award-winning flavours: crunchy Organic Black Quinoa; nutty Organic Red Quinoa, and a delicious mix of Pearl & Black Organic Quinoa. Quinola Mothergrain is one of our favourite quinoa brands: it’s 100% organic, Fairtrade and made using Peru’s finest quinoa. It’s grown by an award-winning Peruvian Fairtrade Co-operative at the dizzying heights of 4,000m, just north of Lake Titicaca, using 500 year old farming techniques. Their quinoa is so tasty it’s on the menu at top Michelin-star restaurants including The Ledbury and L’Autre Pied! For quinoa recipe ideas, inspiration or general quinoa trivia visit Quinola Mothergrain’s website (www.quinola.com) or Facebook page. (https://www.facebook.com/pages/Quinola/480201825331510). I love quinoa, but it not easy to get up here in the North.